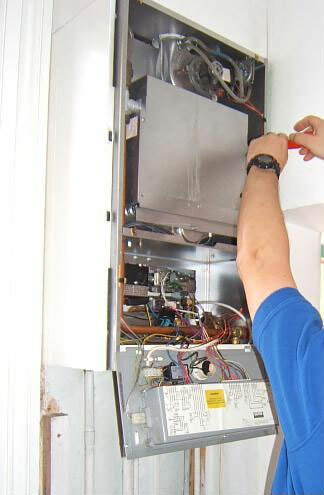 The investment of a new boiler is not only a great idea for reducing costs in the home, due to the rising efficiency of modern boilers in comparison to older boilers (most new condensing boilers run at an efficiency of over 90% – most older boilers are less than 70%) but also new boilers have a much lower environmental impact, which is something we should are all made aware of. This is the most popular type of boiler because they provide both central heating and hot water without the need for a separate tank to store water. They provide instant, unlimited hot water and are compact, but are unable to run more than one shower or bath at the same time and the hot water flow rate will be lower than with other types of boiler. 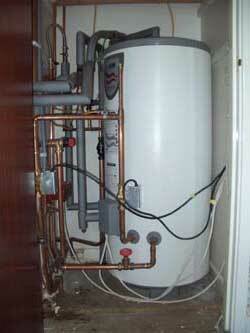 A system boiler (also known as a “sealed system boiler”) provides central heating and hot water through a storage cylinder . System boilers are ideally suited to larger homes with more than one bathroom or ensuites housing families who’ll want a lot of hot water and the ability to run more than one shower or bath at a time. An open vent boiler (also known as a heating-only boiler) provides central heating and hot water through a boiler, a storage cylinder and water tanks in your loft. They have the same advantages as system boilers such as a high flow rate and being able to run more than one shower or bath at a time. But they take up more space than a system boiler and also have the same disadvantages such as having to wait for the water to reheat once it has run out. When choosing your new boiler you’ll need to think about the space you have and the way that you’ll be using it. However, as you’ll have to have a gas safe engineers visit to give you a quote they will also be able to look at your property and advise you on the best option for your home.